The laundry hamper can be a sad old sight. Shoved in the corner where your dirty clothes and linen hide, they are often unstylish, unkept and even a little bit mouldy. Give your laundry a new life, by choosing one of our top fifty picks for unique laundry bags and baskets. Suited to a myriad of interiors and styles, they’ll be a sight to behold in your laundry space, bedroom or en route to the local launderette. Choose from innovative hampers that wheel out from under your sink, to double laundry baskets, laundry baskets you can shoot hoops in or even silver and metallic bags. No matter which way you look at it, we’ve got a laundry solution for you. 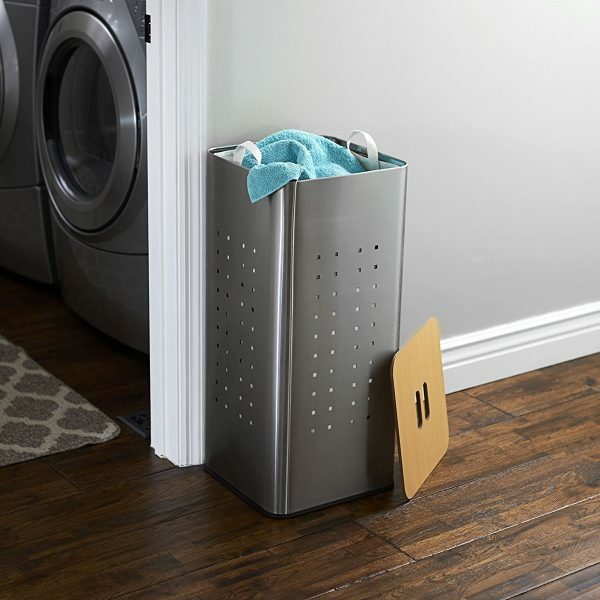 Sleek And Stylish Metal Laundry Basket: Laundry baskets don’t have to be made of canvas or wicker cane. This metal laundry basket strikes a pose beside your chrome appliances, and is ventilated so those dirty linens don’t throw up a stink. 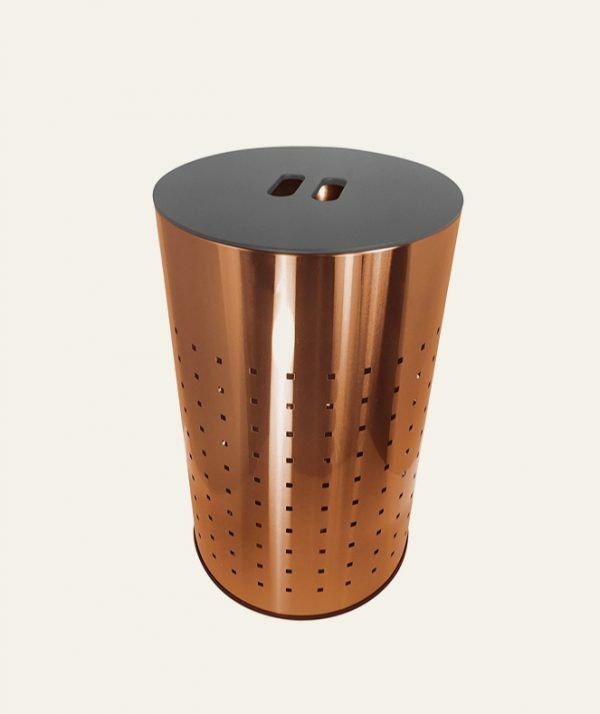 Brushed Copper Finish Luxury Laundry Bin: Another stylish metallic find, this copper-brushed beauty meets all the requirements for a luxury laundry basket. With a sleek lifting mechanism and tastefully-perforated vents, it’ll inspire the envy of your friends. 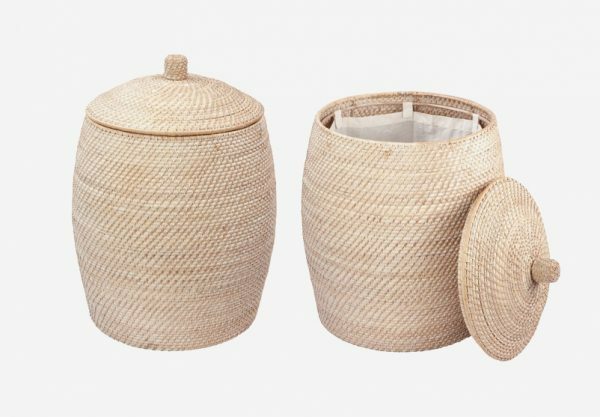 African-Style Laundry Baskets: Handmade and fair trade-compliant, these hampers are made of plastic strips and millet grass. 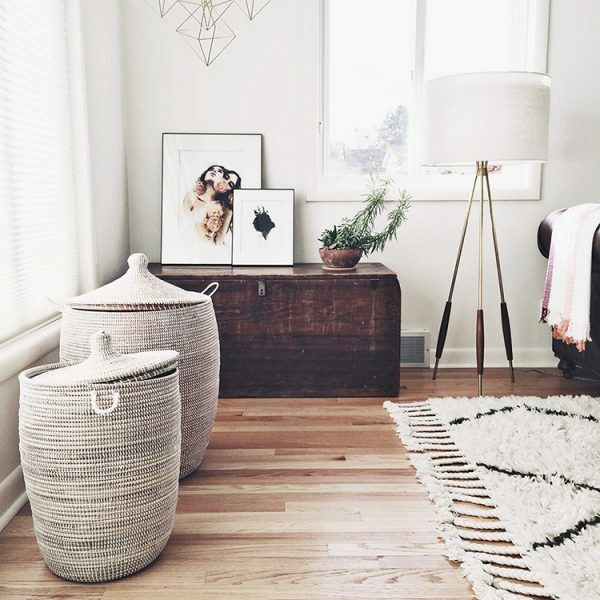 Pop this African-style laundry basket in your bedroom corner. Stylish Hand-Woven Laundry Basket: Acquire a laundry basket made of Senegalese ndlorokh grass. These handmade baskets are a muted-tone feature for your laundry corner. Hand-Woven Rattan Beehive Hamper With Liner: Fancy a lighter version with a doorknob handle? 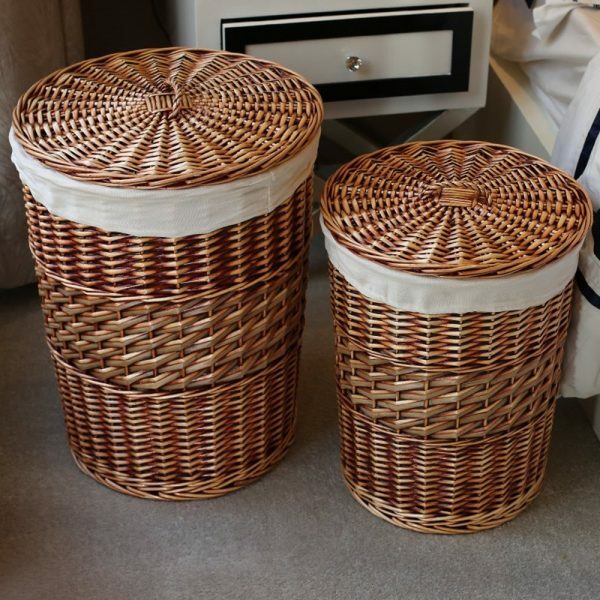 These round laundry hampers are made of rattan and come with a liner. Handmade Wicker Laundry Hamper: Buy two hampers to form a stylish set. These wicker laundry hampers come in two different sizes for easy sorting of your washables. 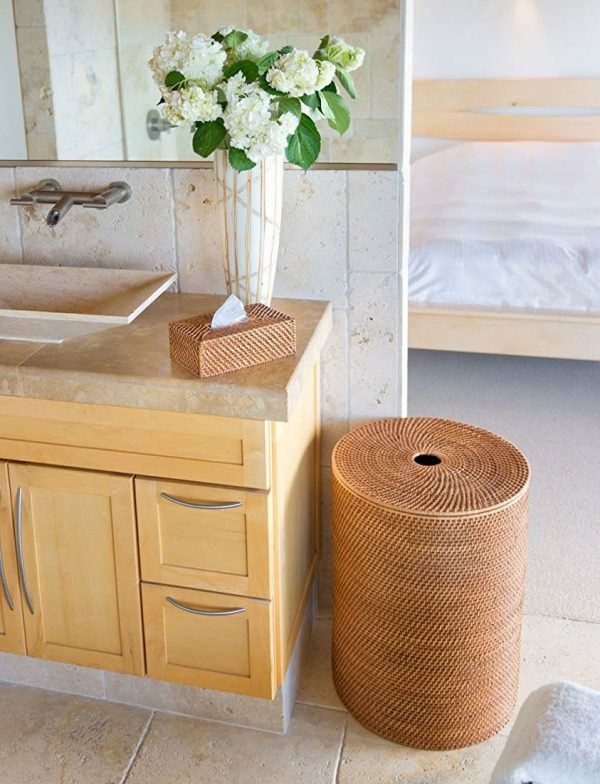 Brown Woven Round Hamper With Cotton Liner: A hole top makes it easy to view the load, in this tall and narrow laundry bin. Place its smooth form in the intersection between your bedroom and laundry. Hand-Woven Hyacinth Double Hamper: Double laundry hampers are double the fun. Have his ‘n’ hers compartments in this handwoven piece. 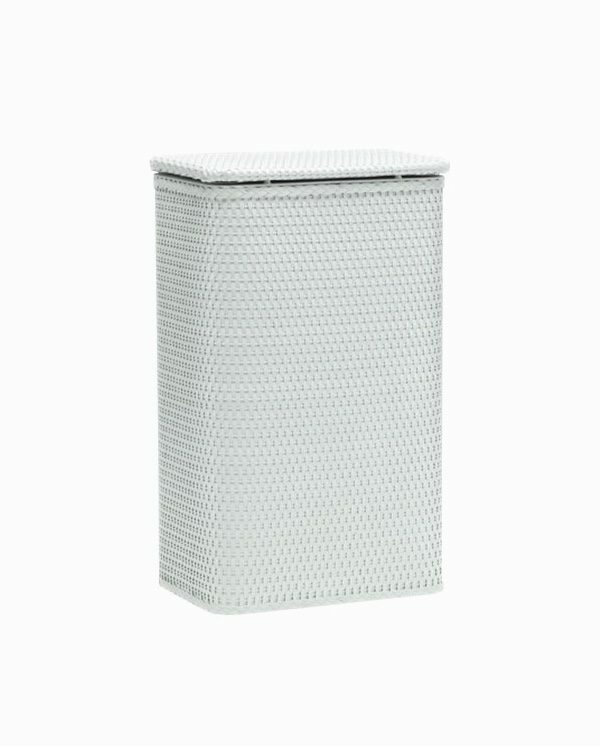 Beautiful Modern Minimalist Double Laundry Hamper: Natural resin weave makes this divided laundry hamper look modern and minimalist. Lined separately, it’s the perfect way to distinguish between whites and colours. 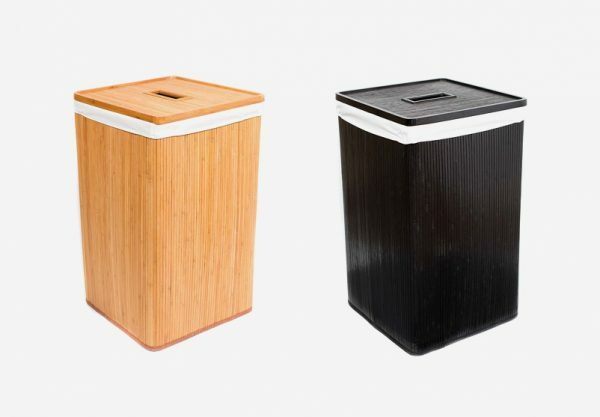 Rectangular Bamboo Laundry Basket: Choose from either natural or black-painted bamboo in these tall laundry hampers. 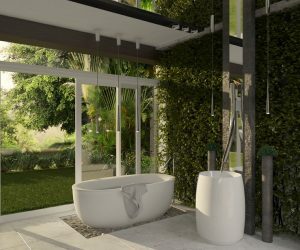 Their eco-friendly forms come with their own cotton liners, too. Corner Hamper Made From Wicker: Have an awkward corner you’d like to utilise? 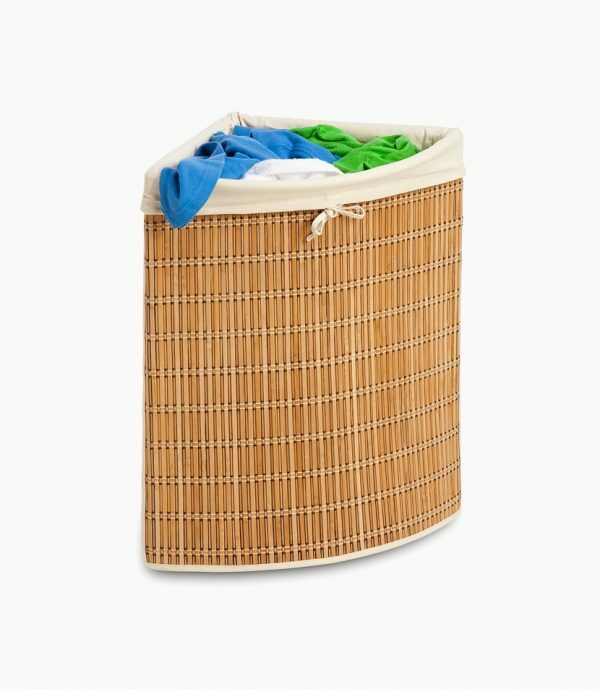 This corner laundry basket offers a snug spot for your clothing in a frame made of wicker. 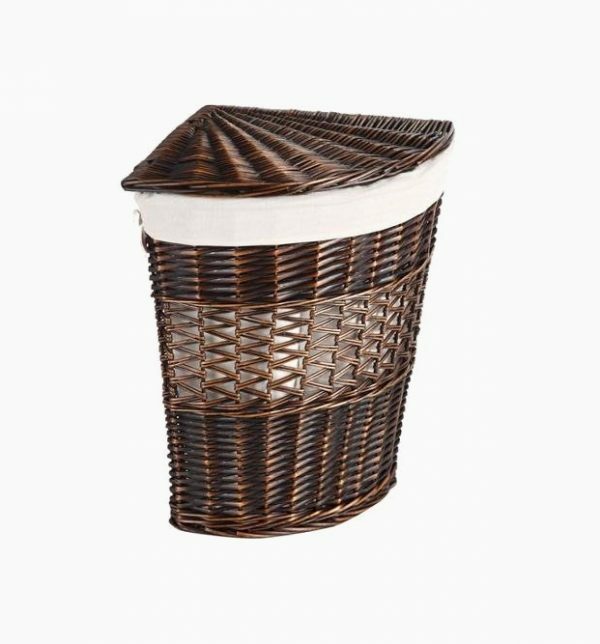 Wicker Corner Hamper With Lid: Corner laundry hampers come in all shapes and sizes. This dark-painted wicker version has a see-through middle, letting you see when it starts to get full. 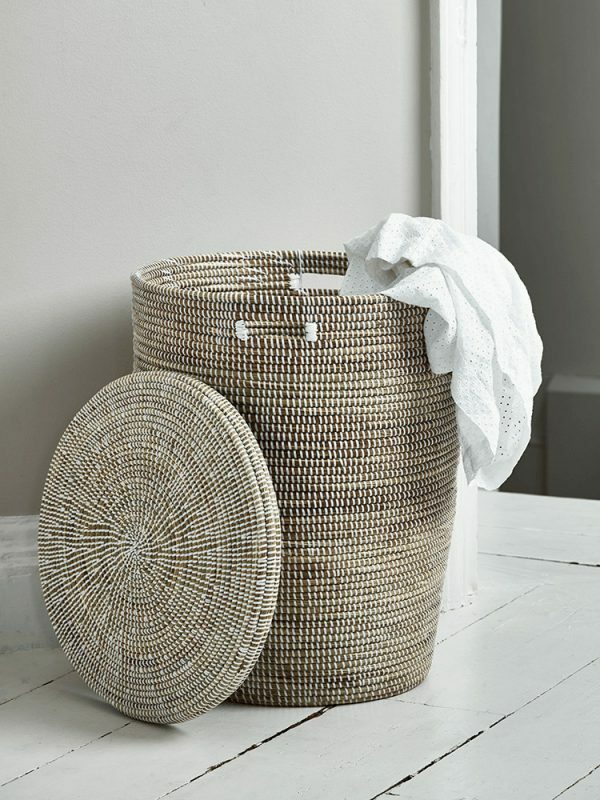 Slim White Wicker Laundry Basket: After an elegant look? 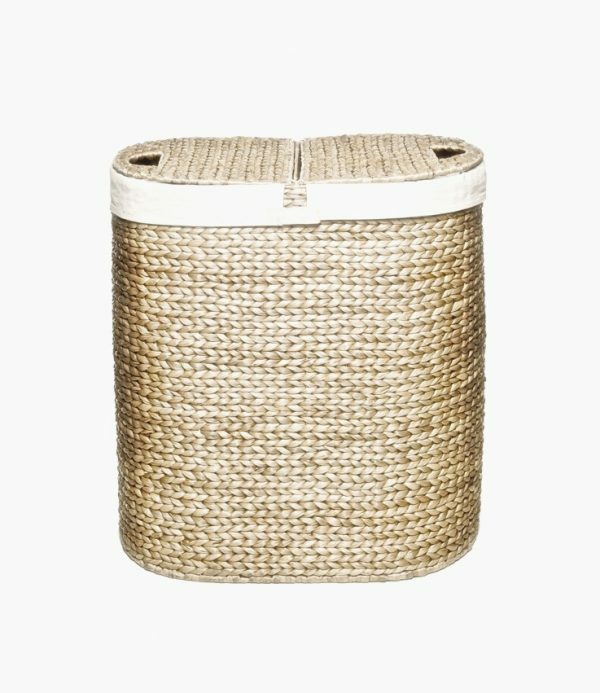 This slim laundry hamper blends into white walls in wicker cane. 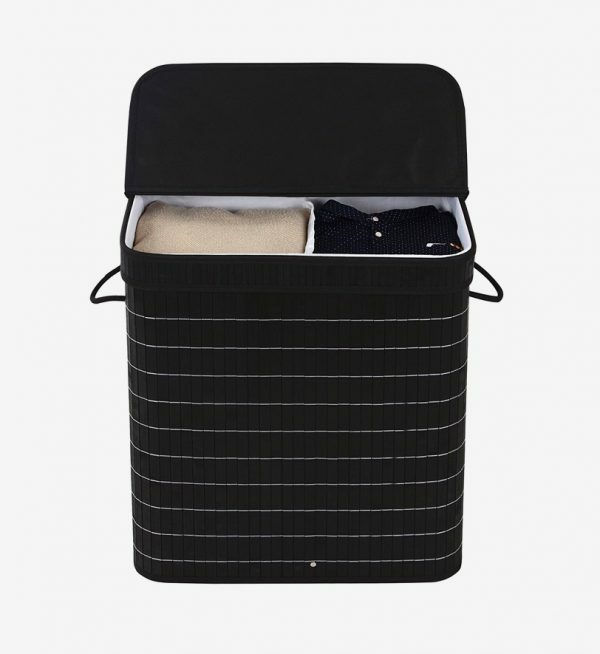 Collapsible Laundry Basket: Spread it out or pack it away. 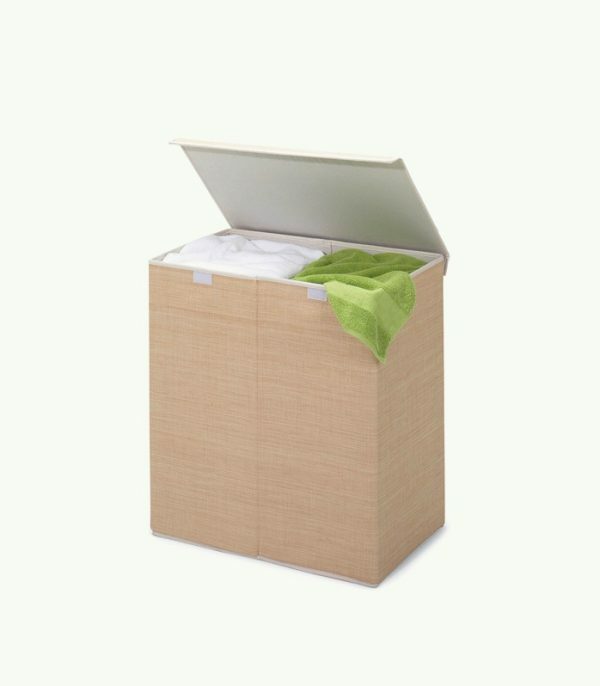 Complete with linen bag and bamboo frame, this collapsible laundry basket makes wash time easy. 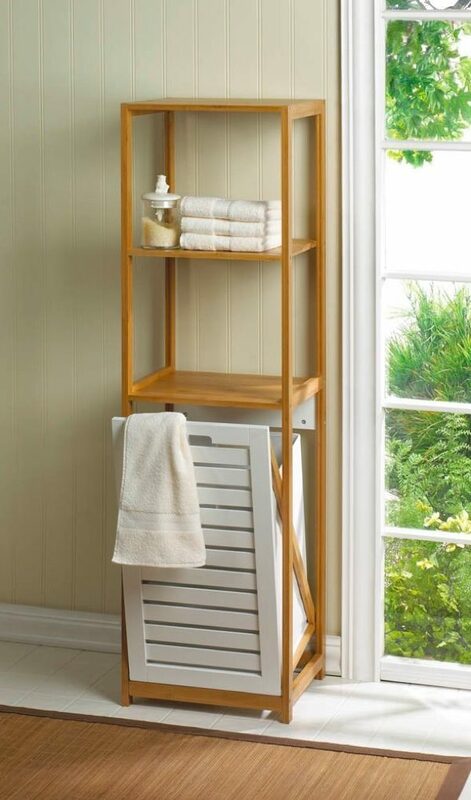 Laundry Hamper Shelf: Have a specific place in mind for your laundry, detergents and softeners? 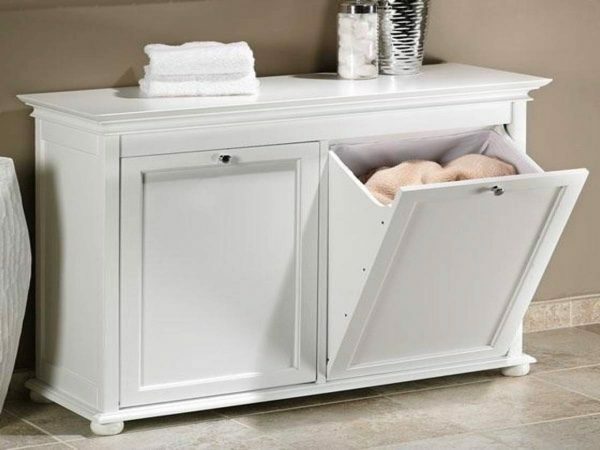 This wooden laundry hamper acts as a shelf within a larger unit for towels and toiletries. Tilt-Out Laundry Hamper Cabinet: Like any great appliance or amenity, this hamper cabinet hides your dirty laundry. 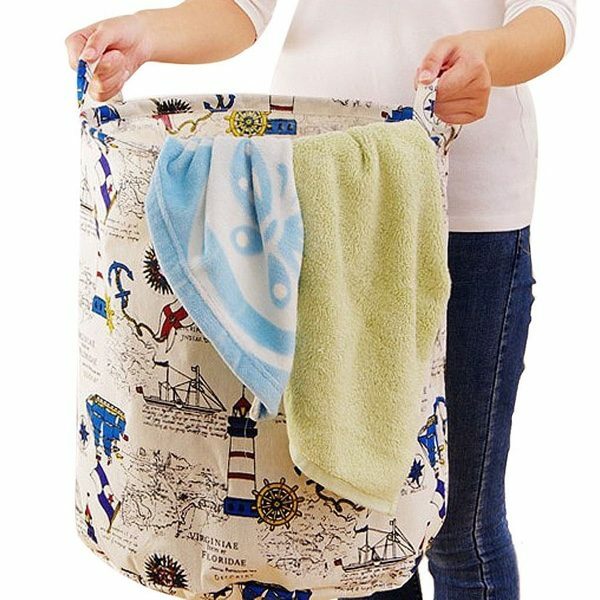 Use these unique laundry hampers to store everything from your undies to your towels. 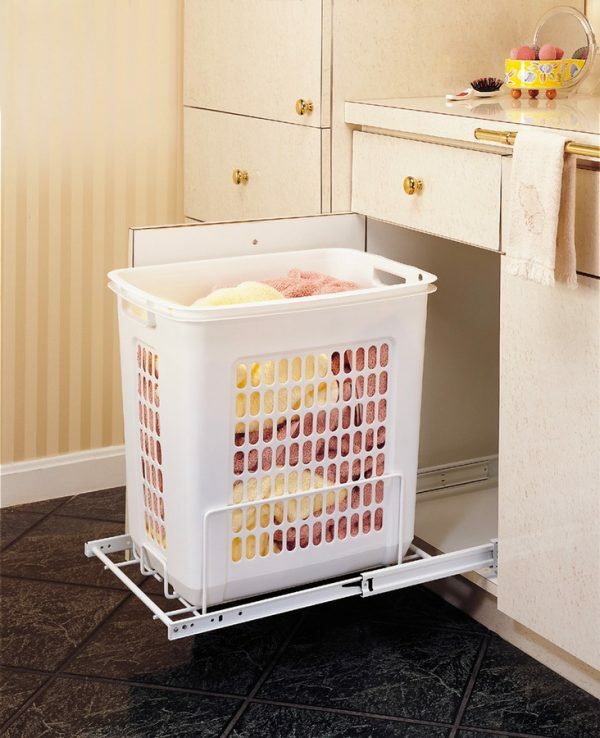 Rev-A-Shelf Pull-Out Polymer Laundry Hamper: Want a little something for your kitchen? This plastic laundry hamper rolls out from under a drawer or sink. Laundry Basket With Wheels: For those with heavy loads, this laundry basket with wheels is a real find. Drag it with you to a mate’s place or the local launderette, instead of struggling with bags. Stylish Black Laundry Basket : We’re anything but divided on this divided laundry basket. Painted in black and made of sturdy bamboo, it offers two separate compartments and a hide-away lid. 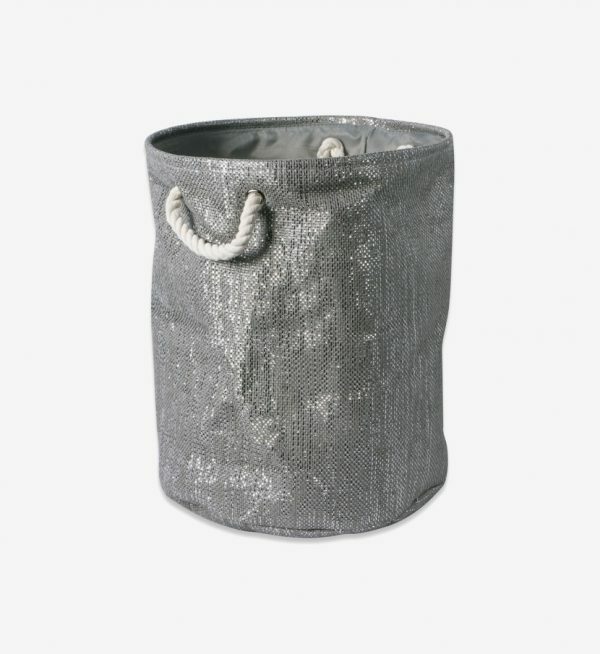 Sparkling Grey Laundry Basket: White polyester and cardboard combine in this shimmering grey laundry hamper. Grab its two rope handles for an easy-to-carry, glitzy add. 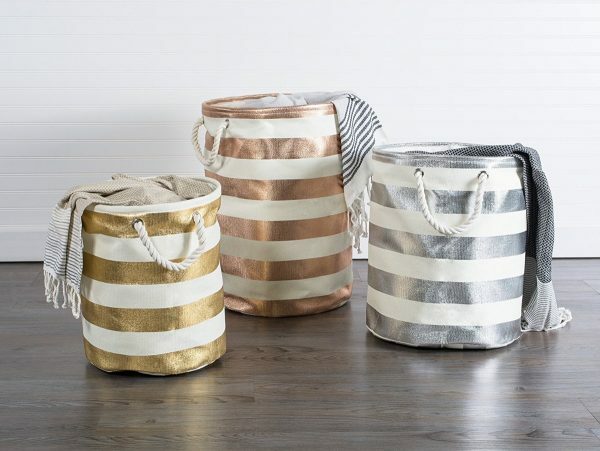 Woven Gold, Silver & Copper Finish Laundry Baskets: Stripe your laundry in gold, silver or metallic hues to have the best laundry basket in town. Available in a range of sizes and adorned with rope handles, they’ll be the envy of customers at every launderette. Tree Stump-Shaped Cylindrical Laundry Basket With Rope Handles: Want to blend in with the trees en launderette route? 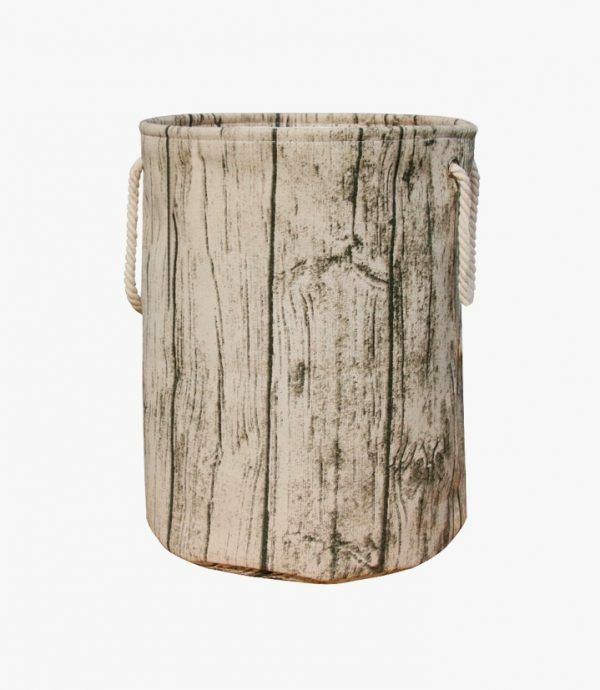 This fun laundry basket looks like a tree stump. 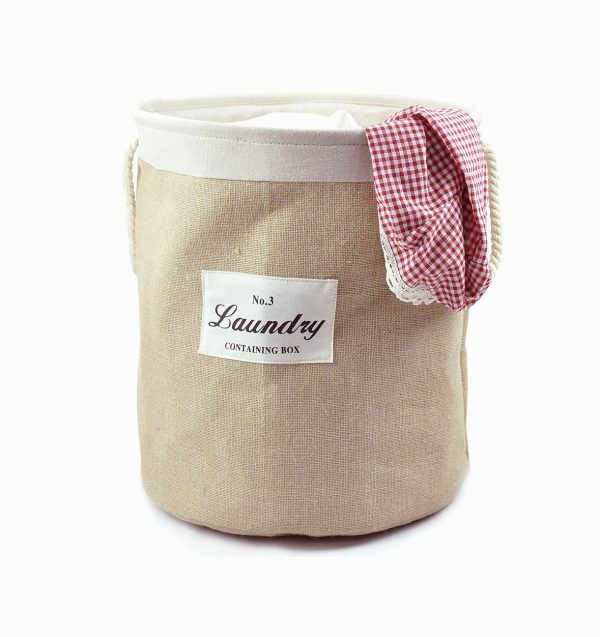 Linen Laundry Basket With Twin Handles: Linen baskets can be plain and boring. Let yours look artisan, with this hessian example offering two rope handles. Extra Large Laundry Hamper With Shoulder Strap: A whopping 31.5 x 16 inches in size, this water-resistant, large laundry hamper can take care of all your drycleaning needs. Use the inbuilt shoulder strap to manage the load. 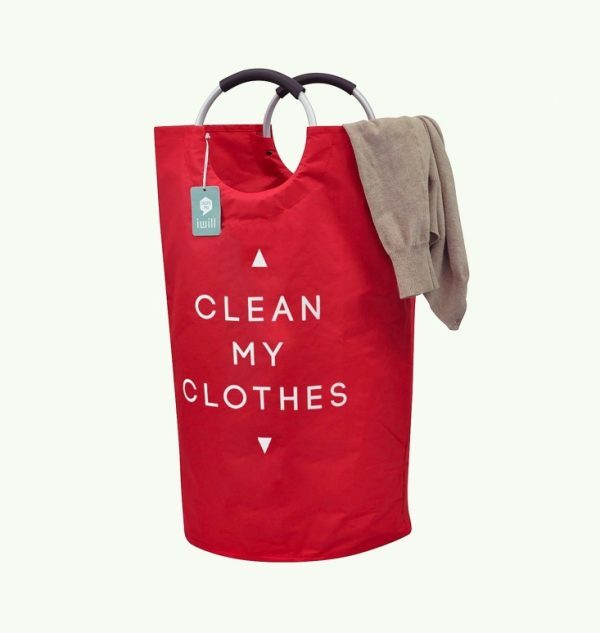 Foldable Red Laundry Basket With Double Rings: This suggestive red laundry hamper says what it means. Grab its two rings to prop it up in your room or carry it to the washing machine. Nautical-Themed Laundry Basket: Sail away on cleaner seas with this nifty piece of nautical home décor. 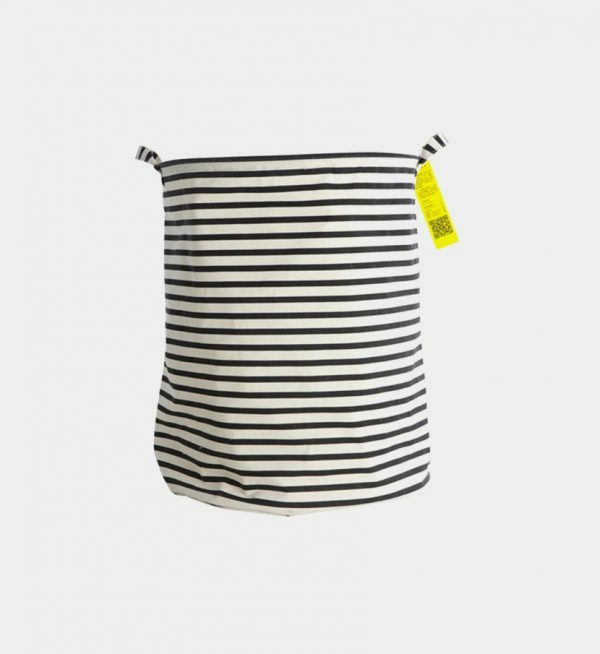 A canvas bag and two handles carry all the clothes a fun laundry basket needs to. 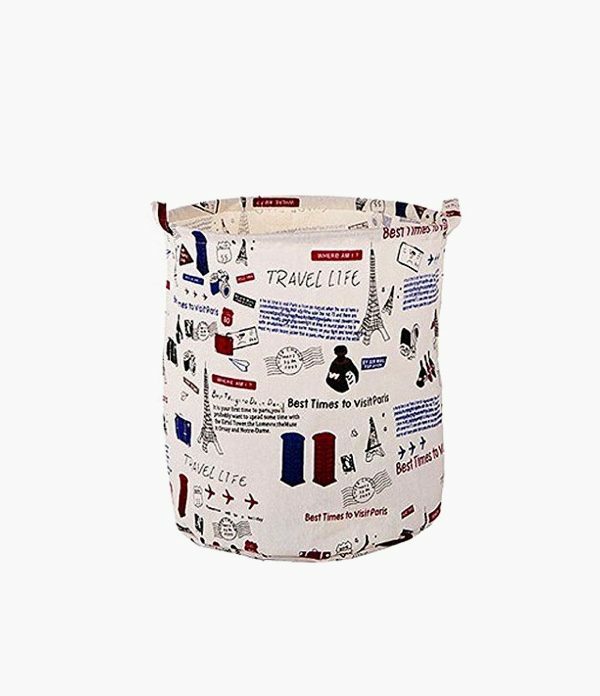 Travel-Themed Laundry Basket: Not into sailing? Try this travel-themed version as home décor for travellers. 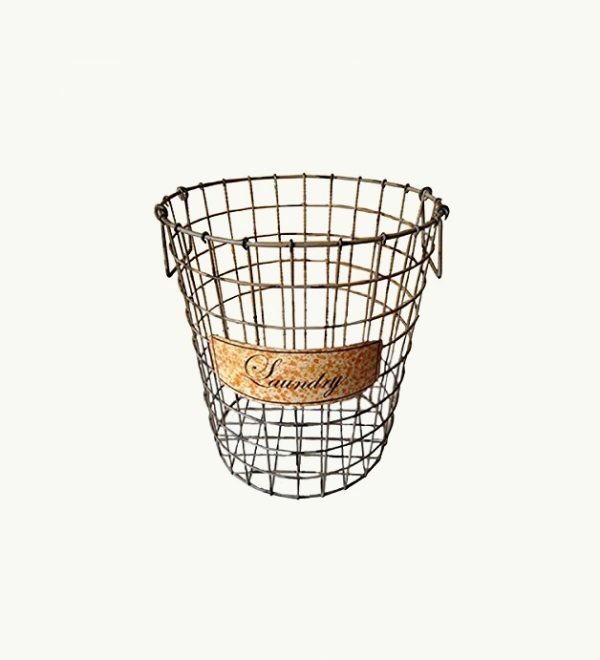 Industrial-Style Wire Mesh Laundry Basket: A useful piece of industrial home décor, this wire laundry basket is an old school way to clean and carry. 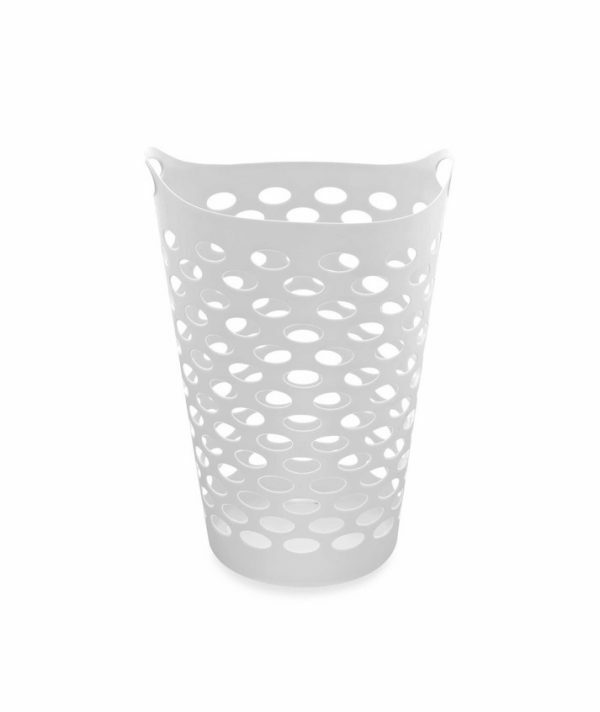 Tall White Plastic Laundry Basket: Thoroughly-ventilated and easy to clean, this tall laundry basket offers all the basics for your household washing. Small Laundry Basket: After something not quite as large? This small laundry basket might be the perfect size. 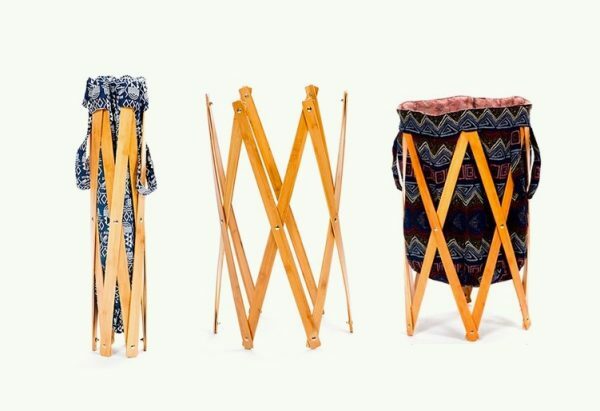 Foldable Striped Laundry Hamper: Aspire to look stylish in every situation? This foldable laundry bag could be an everyday accessory. 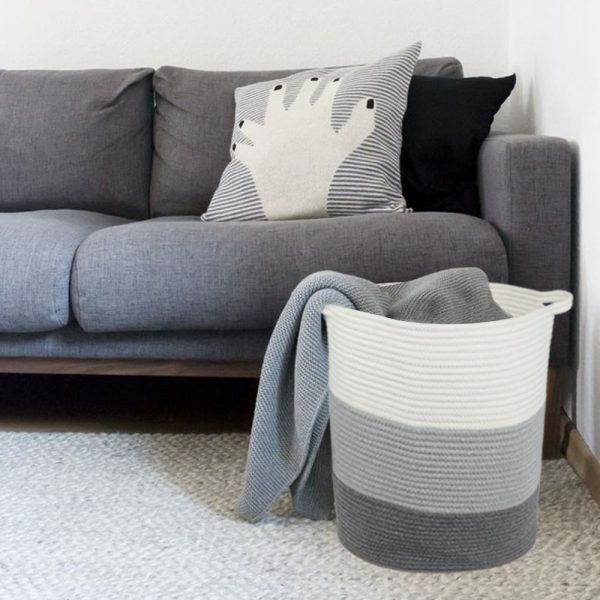 Minimalist White & Grey Laundry Basket: A grey laundry basket never goes astray. This cotton rope creation is something to be proud of, in a muted-tone living room. 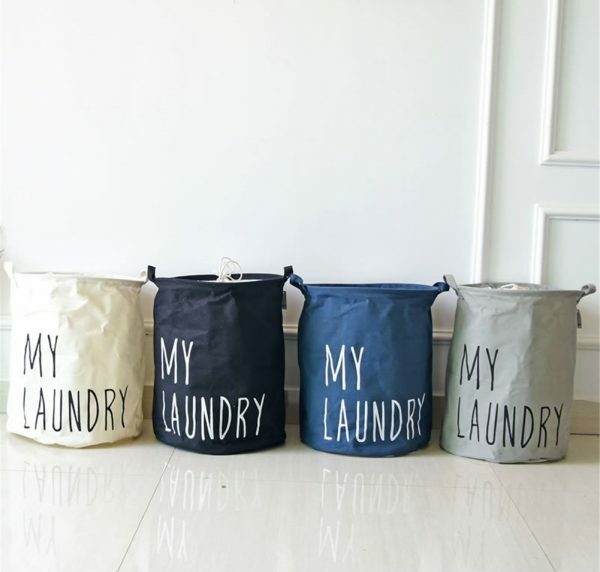 Solid-Coloured My Laundry Bags: Four colours in cotton give options for your laundry. 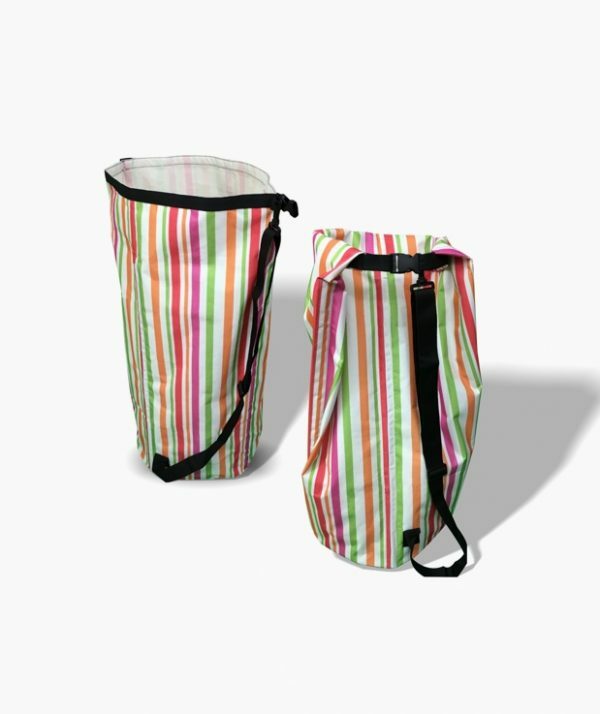 Easy to carry and easy to fill, they’ll find a place on your door as a hanging laundry bag. 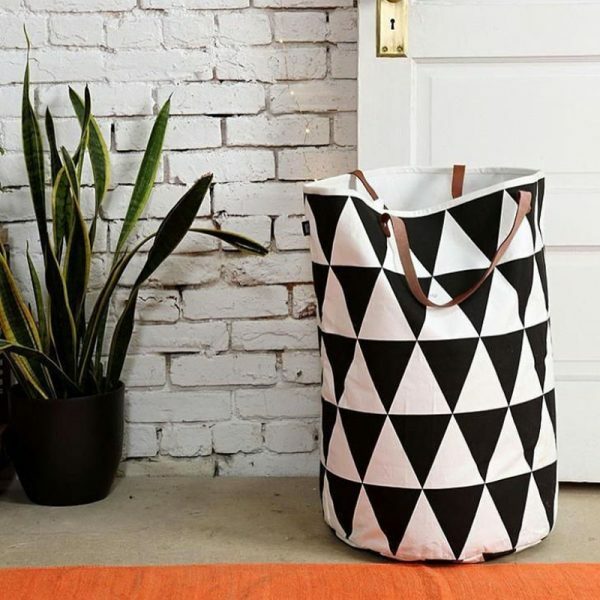 Scandinavian-Style Triangle Laundry Basket: Black, white and full of triangles, this Scandinavian-inspired clothes hamper features handbag-esque handles to carry the load. 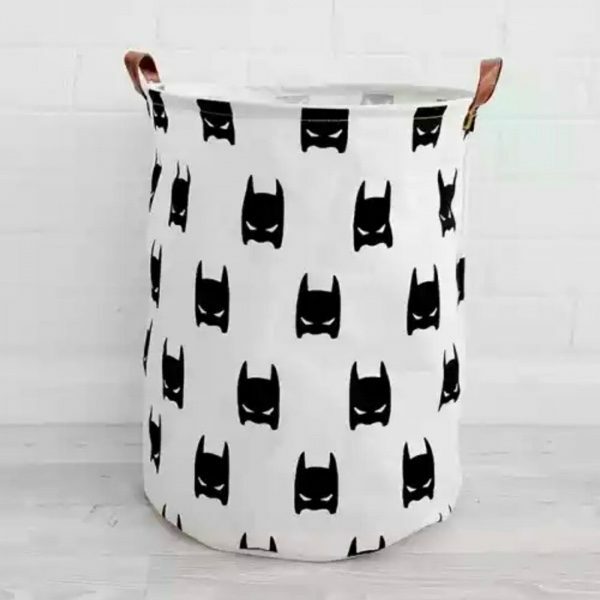 Batman Superhero-Themed Black And White Laundry Basket: Batman has his own canvas laundry bag. Add this black and white find to your superhero home décor collection. 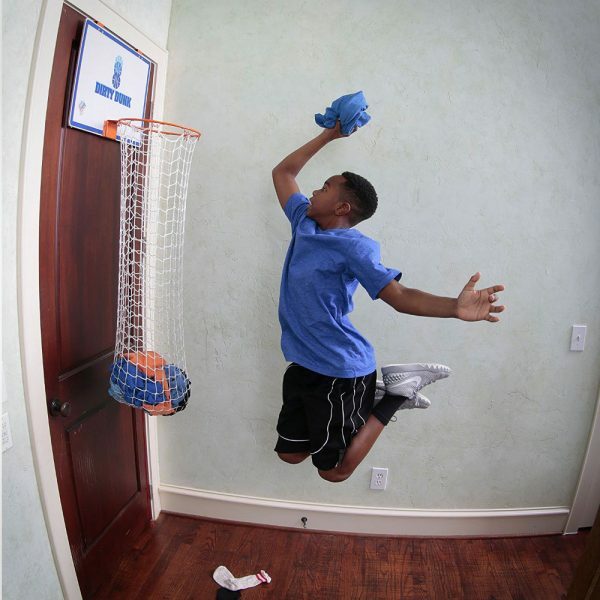 Over-The-Door Basketball Hoop Laundry Hamper: Slam dunk your laundry, with this interactive kids laundry hamper. Hang it on the back of their door as an inventive to do chores. 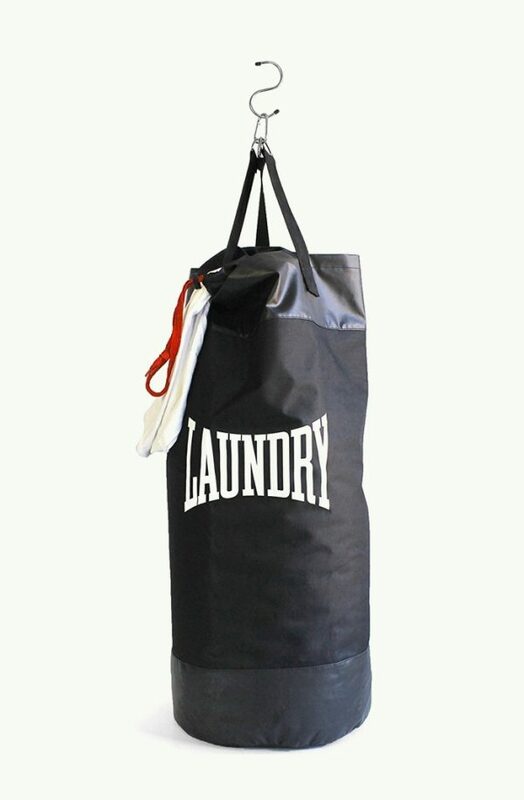 Punchbag Laundry Bag: Feel like your laundry is getting one over you? Fight back with this unique laundry bag on the back of your door. 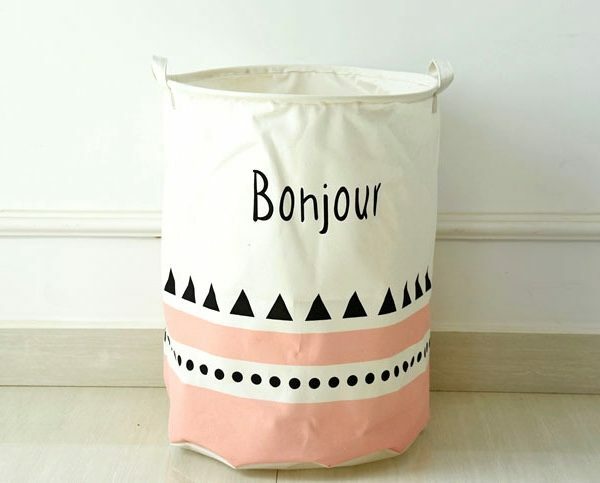 White and Pink Kid’s Laundry Basket: Say Bonjour to a beautifully-dressed bag of laundry. This black, white and pink laundry bag provides the frame. 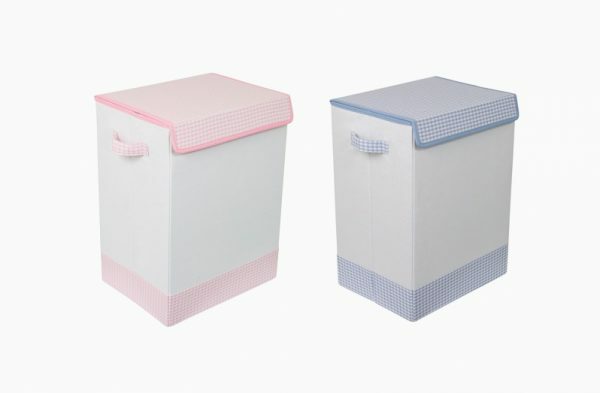 Baby Laundry Baskets: After a cute baby laundry basket? Try these baby pink and blue gingham designs for size. Funny Laundry Baskets: Sick of being the only one doing the laundry? 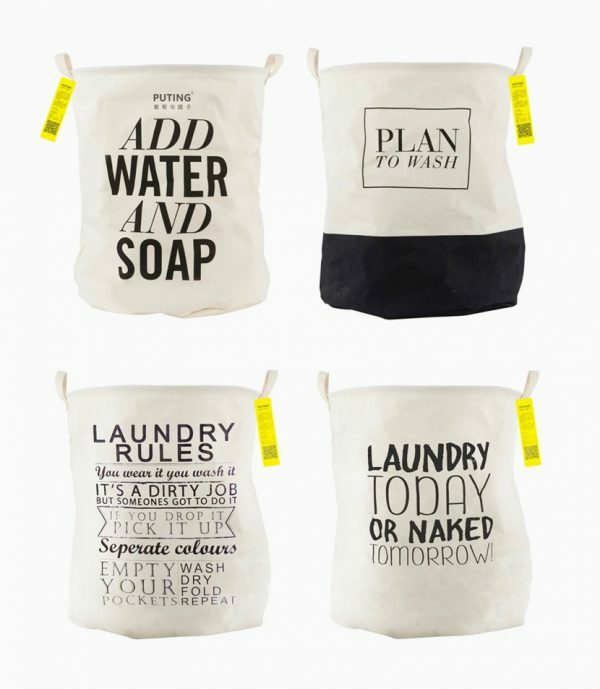 Send a passive-aggressive message on the sides of these canvas laundry bags. 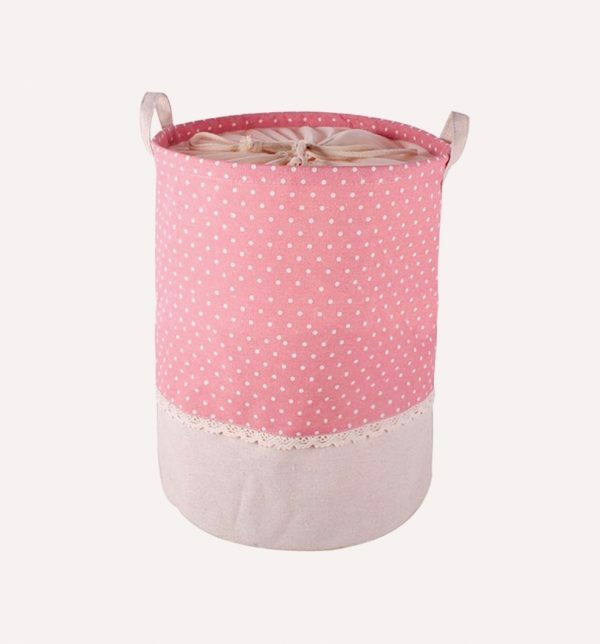 Stylish Pink Laundry Basket: For lovers of polka dots, this pink laundry basket is hard to pass up. Two handles and a drawstring centre make it easy to carry around. 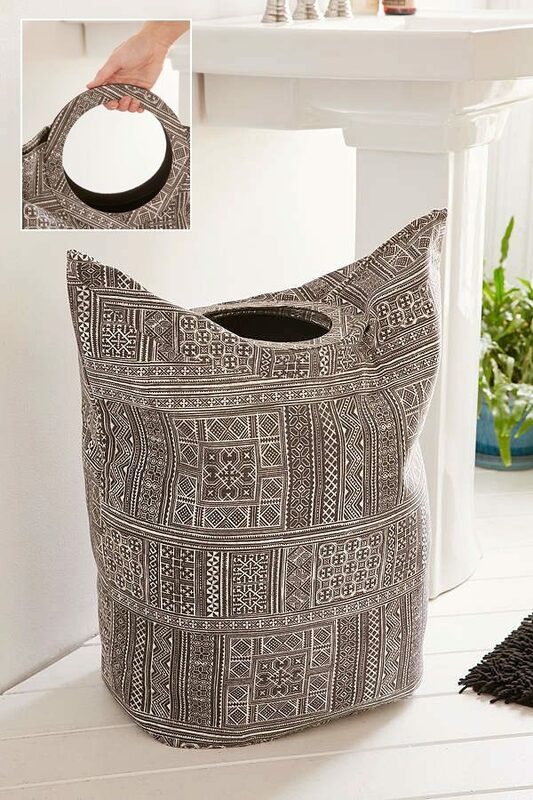 Kali Laundry Bag Hamper: Decorated in tribal patterning, this linen laundry bag is the perfect fit for your sheets. Grab its rounded handles for a better grip on your way out. 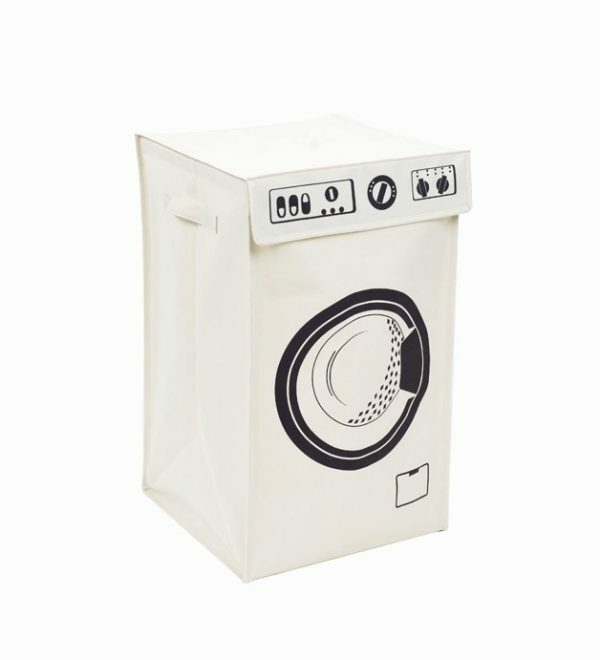 Black and White Washing Machine Icon Laundry Bag: For those truly in love with the washing machine, its image can be mimicked in this drawstring canvas laundry bag. 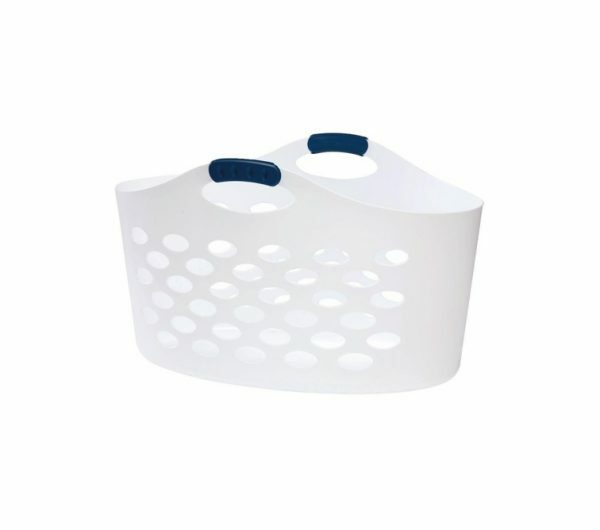 Washing Machine-Shaped Free Standing Laundry Basket: The most unique of laundry hampers, this washing machine-shaped creation can stand on its own. Lift its lid to quickly toss your clothes inside. 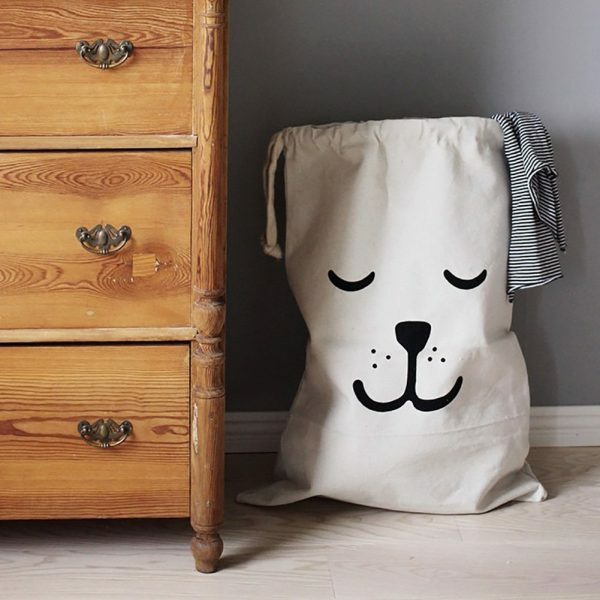 Cute Kids Laundry Bag: This dog looks content, and you will too with this kids’ laundry bag. A drawstring top makes it easy to transport. 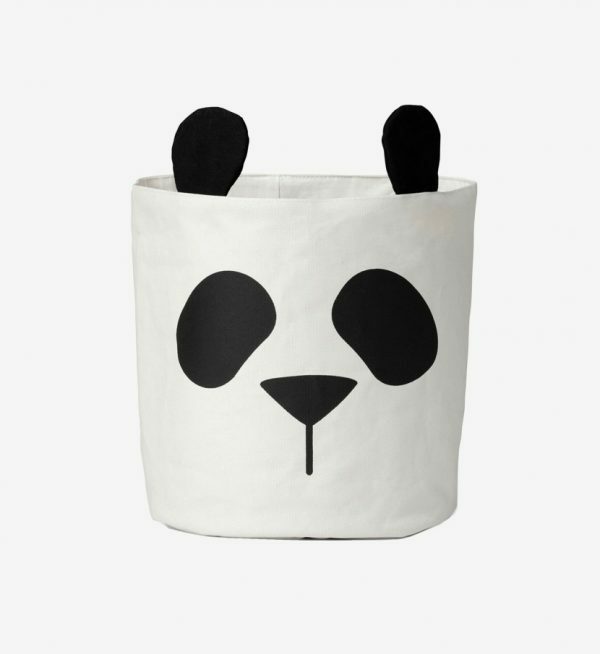 Cute Black & White Panda Laundry Basket: With ears popping over its rounded rim, this panda laundry hamper is a hit with kids and adults alike. 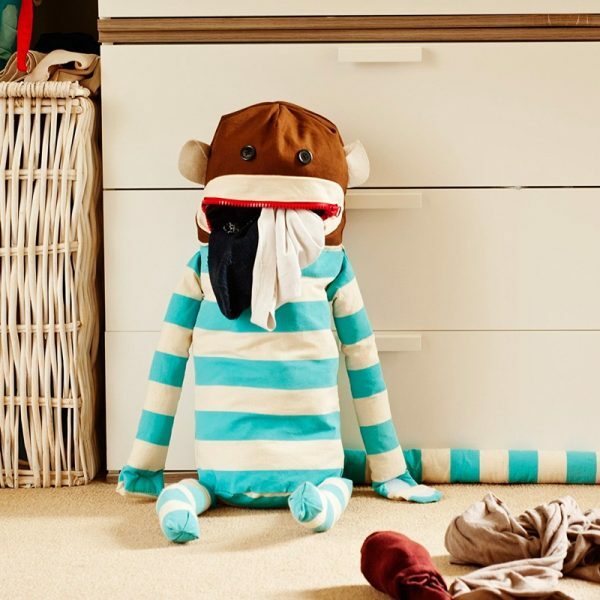 Dirty Monkey Laundry Bag: Only the most unique laundry baskets feature a zip-shut mouth. This cheeky monkey is clad in turquoise striped pajamas and a smile cheeky enough to eat your laundry. Elephant Laundry Bag: Wicker laundry baskets can be fun too. 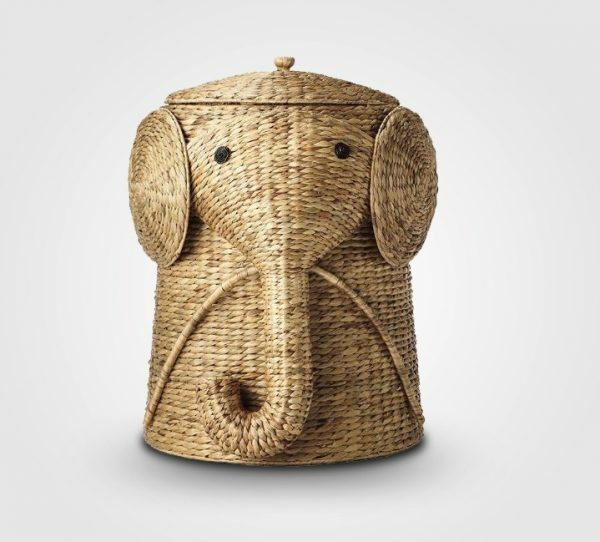 This elephant home décor find lets you lift its head to dispose of your smalls. Owl Laundry Basket: Fancy an owl instead? 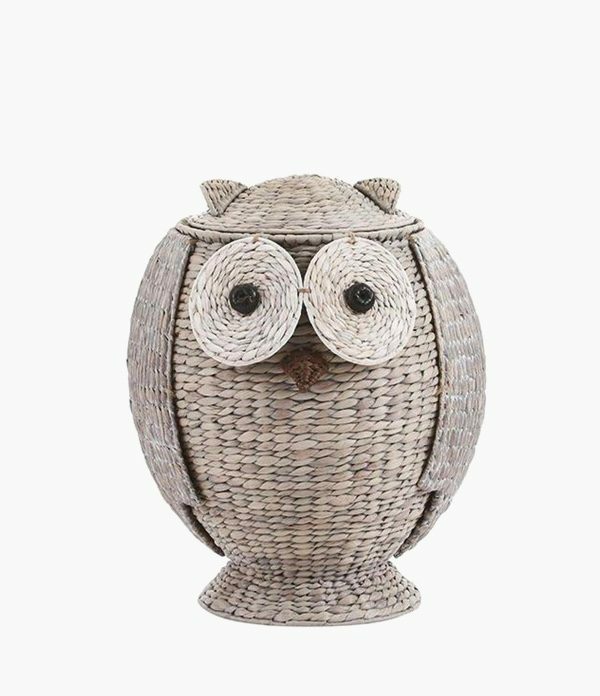 Acquire a grey laundry basket for your owl home décor collection. 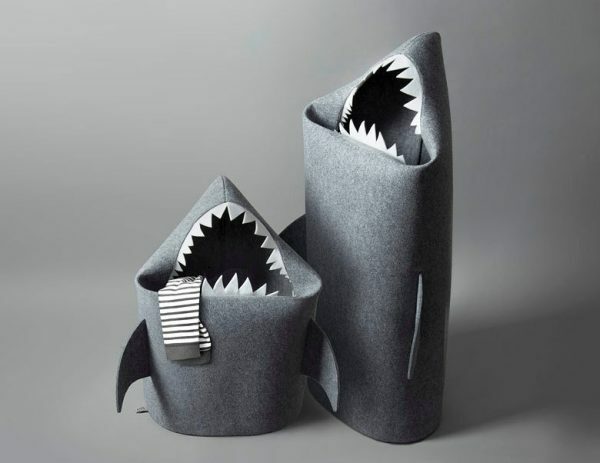 Shark Laundry Basket: Scare your kids into doing their laundry. These sharks offer fun laundry baskets that eat either dirty clothes – or your kids.